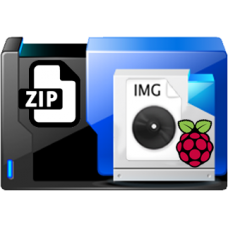 Image Zip file containing Raspberry Pi 3 Model B compatible image with latest Raspbian operating system Includes pre-installed applications Kodi, TVheadend Server, PITV EPG support, htop, shellinabox and a interactive master menu to easily setup up your network, attached storage, network shares and pre-installed drivers and firmware to support popular peripheral devices. With the Wi-Fi headless configuration you can also connect your Raspberry Pi on boot up to your Wi-Fi network (headless). Built in menu allows configuration of Kodi to be enabled or disabled on boot. 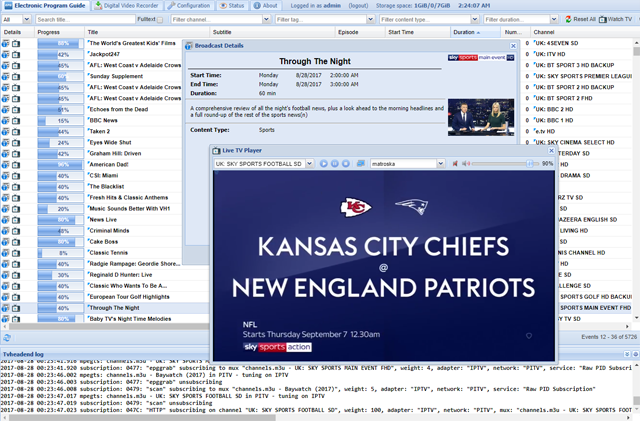 Once purchased and downloaded the extracted image is then written to a MicroSD card and inserted into your Raspberry Pi turning your Raspberry Pi into an instant Kodi and TVheadend integrated server. Worried about finding the correct transmission frequencies?, not to worry, run the pre-installed w_scan utility to generate and find all local services (dependent on peripheral devices connected) . Yes, that means wherever you are in the world you can easily find your TV channels. Worried about tuning your aerial into the best signal strength?, not to worry the TVheadend server has a built in signal strength meter so you can have your mobile device in your hand as you position and lock your aerial into the best signal available! Want a fully integrated media center frontend?, Kodi (formerly known as XBMC) is an award-winning open source (GPL) software media player and entertainment hub which integrates seamlessly into TVheadend to provide live TV viewing, recording, electronic program guides and FM radio. Why buy an image?, Pre-built images save you the time and frustration of trying to compile all your v4l drivers, firmware, pitv EPG (Electronic Program Guide) and TVheadend server and also includes a advanced configuration menu to allow easy setup of your Raspberry Pi network, attached storage and allows choice of enabling Kodi to run on boot up or not. ***Please note the Raspberry Pi Kodi and TVheadend Server image does not contain and film media and the images below are purely for demonstration purposes only. TVheadend Server for Raspberry Pi 3 Model B with pre-installed v4l drivers, firmware and XMLTV PITV EPG Grabber Module. KODI and TVheadend Server playback. 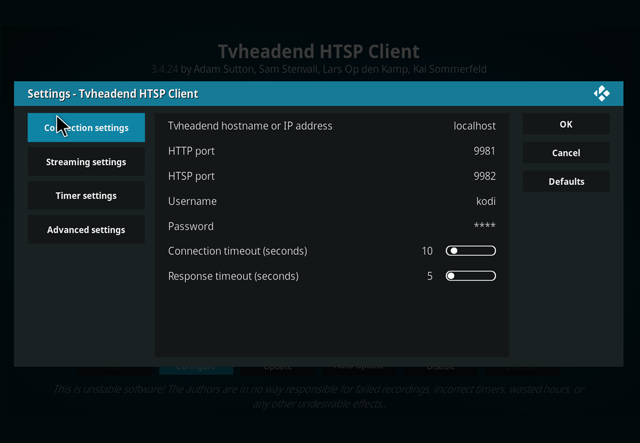 Use TVheadend Client free app available for Android and IOS or VLC to connect to your TV streaming server and simply channel hop and manage features. 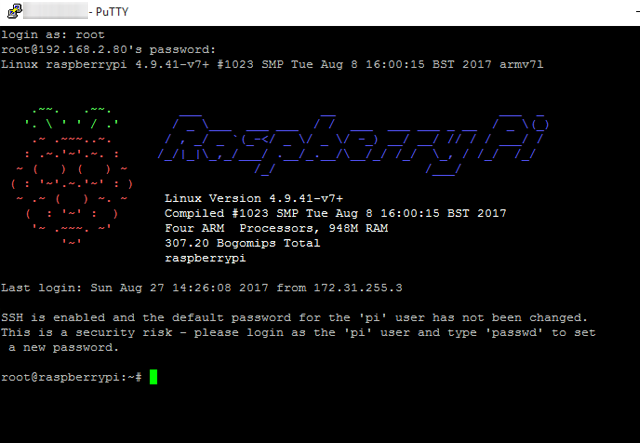 The advanced and popular configuration menu easily configures the Raspberry Pi network and storage by simply selecting a option from the interactive network menu then answer basic configuration questions. After simple menu driven configuration a quick reboot provides the mounted drives or shares for access. 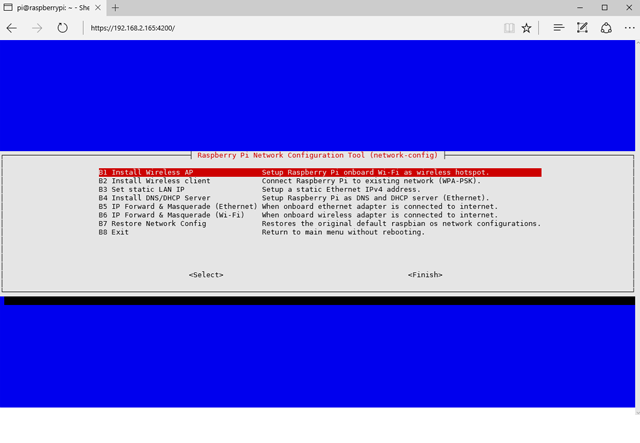 Network Configuration - Configure Raspberry Pi network. Media Configuration - Configure Raspberry Pi storage. Kodi Configuration - Enable or disable Kodi on boot up. Raspi Config - Run Raspi-Config Menu. Install Wireless AP - Setup Raspberry Pi onboard Wi-Fi Access Point. Install Wireless client - Connect Raspberry Pi to a Wi-Fi network. Set static LAN IP - Setup a static LAN IPv4 address. 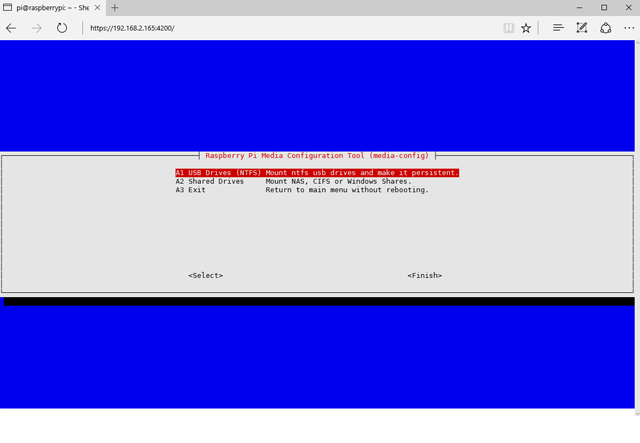 Install DNS/DHCP Server - Setup Raspberry Pi LAN as DNS and DHCP server. IP Forward & Masquerade (Ethernet) - WLAN --> LAN. IP Forward & Masquerade (Wi-Fi) - LAN --> WLAN. Restore Network Config - Restores the original default Raspberry Pi network configurations. Enable Kodi - Enable Kodi on boot up. Disable Kodi - Disable Kodi on boot up. Htop is an interactive system-monitor process-viewer. It is designed as an alternative to the Unix program top. It shows a frequently updated list of the processes running on the Raspberry Pi, normally ordered by the amount of CPU usage. Htop is enabled by default. Shellinabox is a web based terminal that uses Ajax technology to provide the look and feel of a native shell. Using this, as long as your device has a browser, you can remote shell access your Raspberry Pi. (remote view of htop using shellinabox is pre-installed). As with Htop, Shellinabox is also enabled by default. DTT stands for Digital Terrestrial Television (or Transmission). It refers to the terrestrial, or land-based, broadcasting of digital television. 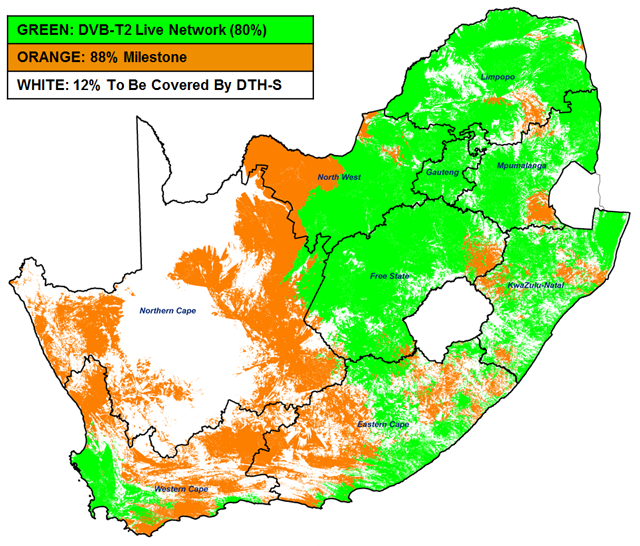 South African television is currently broadcast in an analogue format with the country in the process of switching over to DTT. • Pre-installed 2017-08-16 Raspbian Stretch Lite. 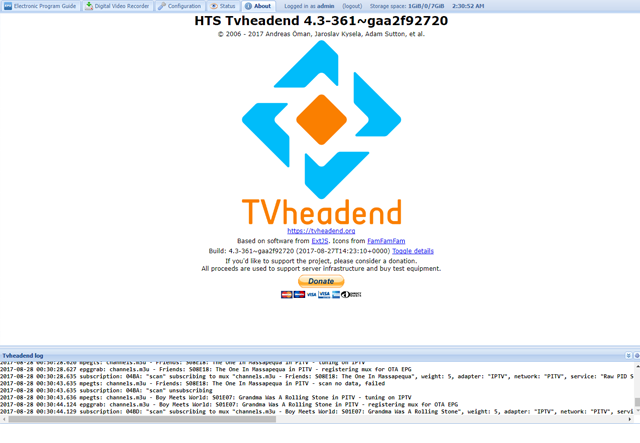 • Pre-installed HTS Tvheadend 4.3-271~g940c694. • Pre-installed Kodi Krypton 17.3. • Pre-installed PITV EPG(Electronic Program Guide) Grabber Module. • Pre-installed v4l drivers and firmware for popular devices. • Pre-installed Htop and Shellinabox system monitoring and web based terminal utilities. • Enabled FTP service. provides simple ease of access to transfer media to and from the Raspberry Pi. • Download and Installation instructions on this web page (bottom), supplementary videos, no lengthy complicated instructions. - Install FileZilla Client on your computer. Available from Sourceforge. - Download the sitemanager file from your client account downloads section after your purchase. - Import the sitemanager file into FileZilla. - Connect using the new sitemanager drop-down link created by the imported sitemanager file. - Drag and drop or double click on your zipped image to start FTP download. 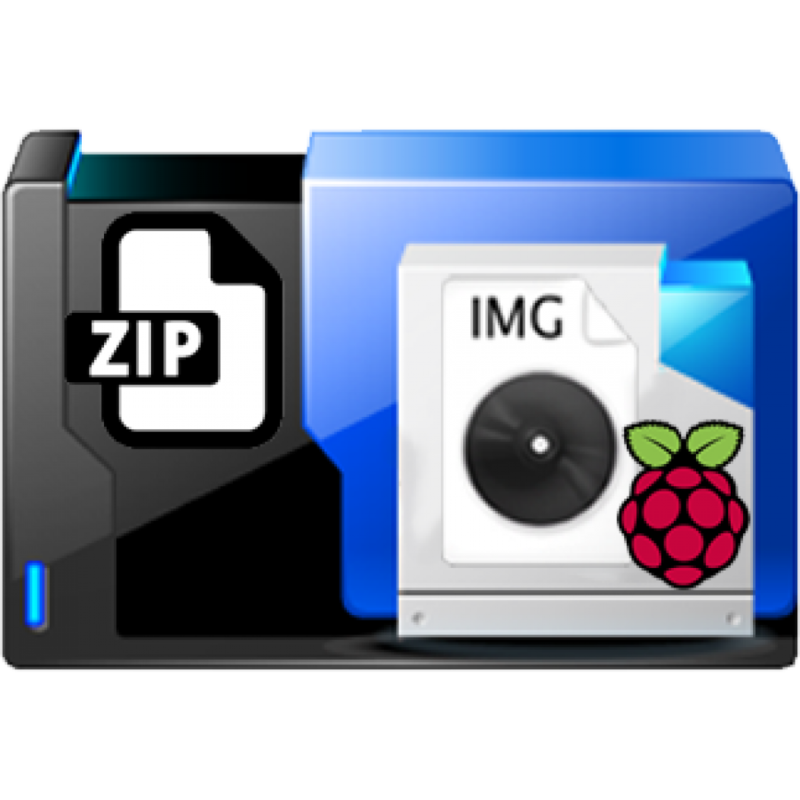 - Extract the image using your favorite unzip program. - Write the image to the MicroSD card using your favorite image tool, we recommend Win32DiskImager available from Sourceforge. - If you want to configure a headless wireless connection edit the wpa_supplicant.conf.example with your details and save it as wpa_supplicant.conf. - Insert the MicroSD card into your Raspberry Pi 3 Model B, connect tuners, peripheral devices,networks and storage devices. - Power on your Raspberry Pi 3 Model B. 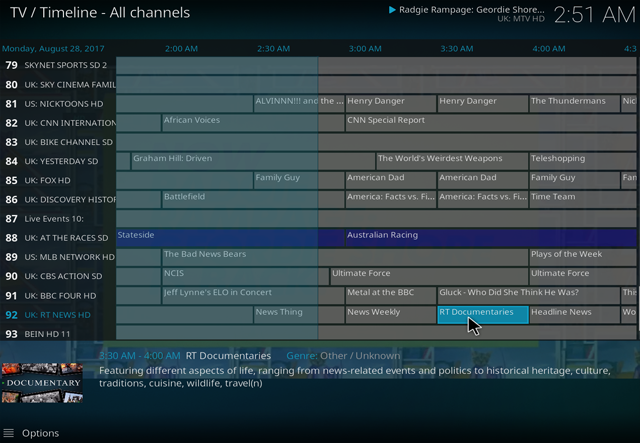 How to setup PITV IPTV on TVHeadend: Raspberry Pi Kodi & TVheadend Server #2. If you have or want to use a kodi instance loaded on another PC then the above procedure can be used to connect remotely to the Raspberry Pi TVheadend server by using the IPv4 address of the Raspberry Pi instead of "localhost". This image has been successfully tested in South Africa (Gauteng) for DTT DVB-T2 with a MyGica T230C usb dvb-t2 using Ellies Channel 21-68 AASG or AA1B antennae. Please drop us some feedback so we can better your shopping and product experience.